As the year comes to an end, we all become reflective. Today, I am going to discuss my standout games of 2014. This is not a top 10 list of new games this year, nor my all-time favorite games list. Some of these games were published years ago, but I was just introduced this year. I played lots of new to me games this year, but these really grabbed my attention and kept it. Why did these stand out to me? As I share about my standout games of 2014, I hope you will gain some insights into my gaming interests and passions. Advanced Dungeons & Dragons (1st Edition) was the second rpg (after Villains & Vigilantes) I ever played. Up until this year, AD&D 1st or 2nd Ed were my favorite rpgs ever. I could not get into D&D 3.0, D&D 3.5 or Pathfinder. I was skeptical when yet another edition was announced. Though I have not yet played an extended campaign in the new 5th edition, I am impressed. 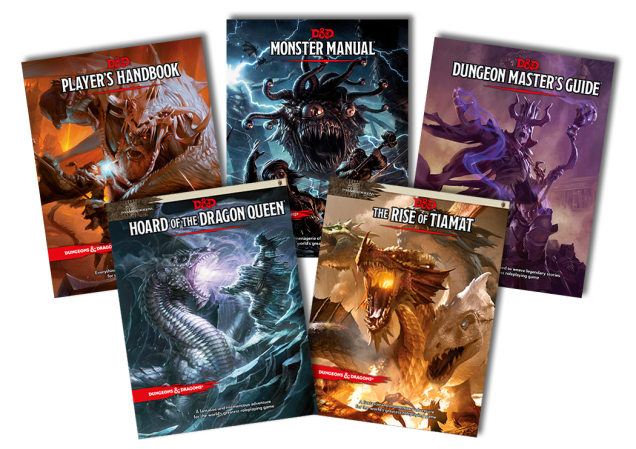 The quality of the books, the amazing artwork, and the system that fans helped develop really has created a new D&D that has an old school feel in a modern game quality package. Now that I have my new DMG, I am looking forward to starting a D&D 5th Ed campaign in 2015. 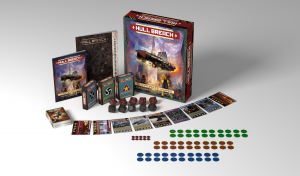 I have a Physics degree, so when I saw this game on a sale rack at Gen Con this year, I was instantly intrigued. 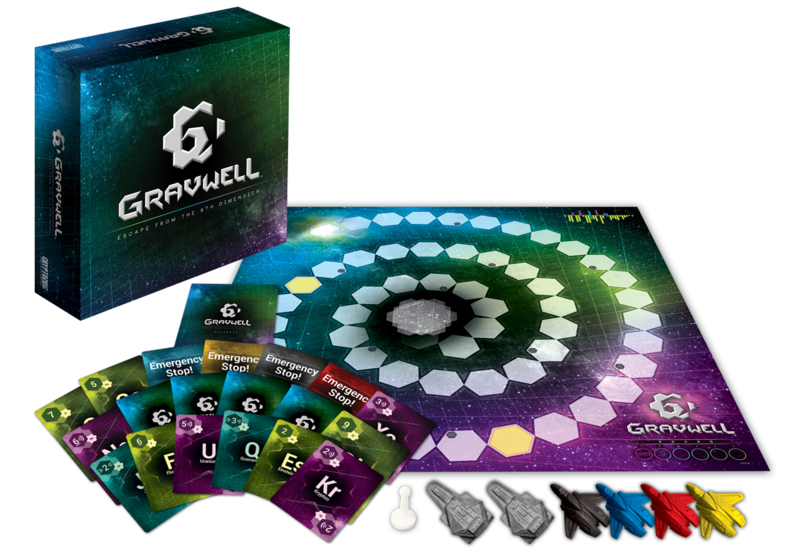 Space physics theme, nice components, under an hour to play and a simple mechanic with complex strategies. 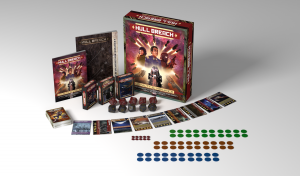 I was hooked after one play and it quickly rose to being one of our most popular games during lunch at the office. 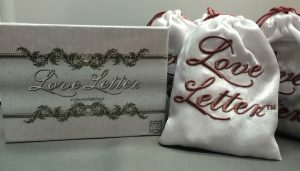 Game easily plays in under an hour, so wonderful for a lunch hour game or as a filler during a group board game night. Last year I was introduced to GreenBrier Games through the Ninja Dice Kickstarter. This year at Gen Con 2014, I returned to their booth to say hello and introduce some of my Gen Con friends to Ninja Dice. Earlier that day, the conversation of Space Marines had come up in a random conversation over lunch. While demoing Ninja Dice, we learned about Hull Breach, which is a space combat game that has Space Marines! Isn’t it weird how random conversations and events can sometimes converge? Not surprisingly, I purchased the game after demoing it. Liked it so much, I crafted a star field playmat to add ambiance to my games. I haven’t played this game as much as I would like, so I am hoping to remedy that in the new year. When I travel, I like to try to buy a game or game-related item as a memory of the trip. On a trip this summer with my wife to Mackinaw City and Mackinac Island, we found a fun little shop, Nerd Fergunson’s, where I picked up Inn-Fighting. Little did I know how popular this dice game, based on a Dungeon’s & Dragons bar room brawl, would be. It is a quick play with a whimsical theme. Biggest fault is a lack of tokens for keeping track of hit points/victory points. I added a bag of pennies and some extra d20s to enhance the game. 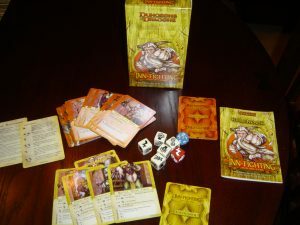 After all these years of D&D adventures starting in an Inn, it is ironic that I now have a dice game that emulates the brawl that often breaks out. Found this gem on the sale table at the Game Preserve in Indianapolis. This game has been great with my family, as well as a lunch time game at the office. I am finding in my busy life, games that can be played under an hour find the most play time. 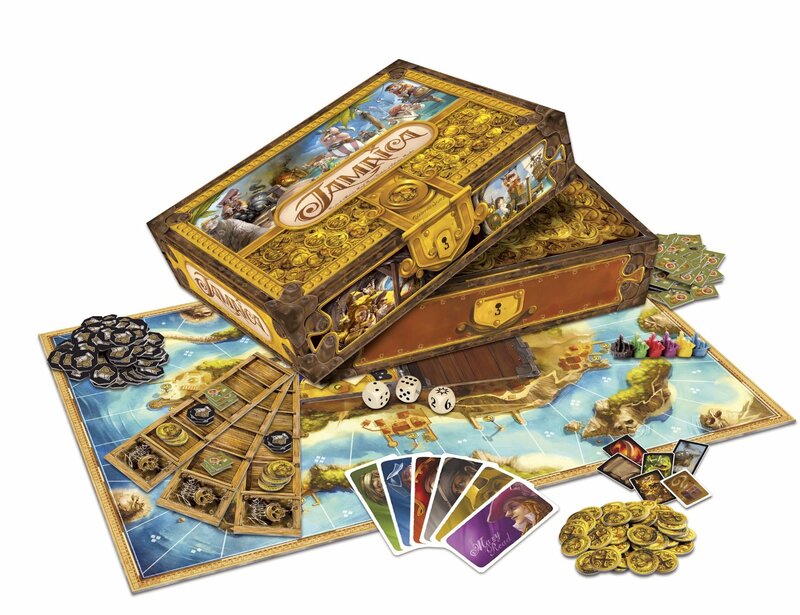 When I find such a game that has a great theme, amazing components, and incredible game play, it becomes an instant hit. Yet another great travel find. I had been wanting to pick this game up, and I found it on sale at a comic shop while on the way to an extended family trip to a lake cottage. Even among my non-gamer family, this game was popular and saw lots of play during the week at the lake. My card game loving mother-in-law got into the mechanics and deduction, while my daughters and nieces loved the story elements. We liked the game so much we contacted AEG to acquire the wedding edition for ourselves and to start giving out as gifts. Do you commute or travel a lot? Do you love to game? If so, like me, you are always looking for games that are compact, travel well, but still are fun and challenging to play. Mint Tin Pirates has become one of my go-to travel games for planes, trains, and backpacking. 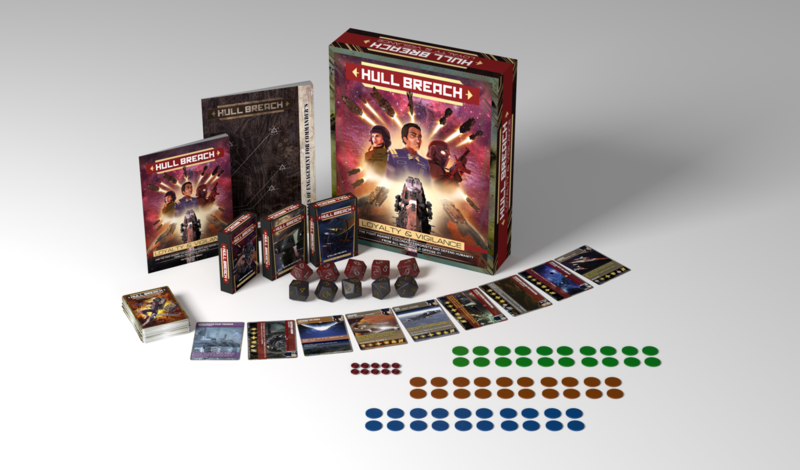 I am really looking forward to future games in the Mint Tin Games series from subQuark. What games stood out for you in 2014? I am always looking for great new games! I know the other boxed games are made in China, are the D&D books printed there as well? For the Mint Tin Games, being as domestic as possible was a driving force and actually what created them. The game I had been working on, ZOMBALAMBA, costs around $29 for me to make which is too much to produce. That got me looking at alternative “boxes”, including sewing a tiny prepper bag (perfect for the zombie meme) or using a gripper jar (those big mouth plastic jugs you can buy nuts in). 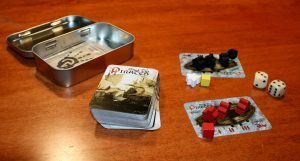 From that I stumbled onto seamless hinged tins and then started thinking about making a game fit those. I ask about China not because I have issue with it (I do with living wages though) but because I’d like to see more local capabilities – I think more people would be apt to create things if they could do so locally. For books, I’m familiar with US printing and the D&D books look like regular covers (perfect bound I assume). I have a friend who did some RPG books on KS and he printed in China simply assuming that was the “way to go”. When he learned of Lightning Press here in the US, he saw their prices were less and the turn-time was under a week versus the 6 weeks he had plus customs. Rodney Thompson (@wotc_rodney) or Mike Mearls (@mikemearls) could best answer your D&D printing questions. They are very active on Twitter answering questions about the game and its production. China is a common printing choice for high volume games, but I am seeing more and more games printed in the US and Europe. No need to apologize. I appreciate your “maker movement” discussions because they bring a different perspective to game production. Oh, and thanks for the new nickname. My wife and daughters got quite the chuckle out of it when I shared your comments.